IT pre-empted Malcolm Turnbulls cabinet sacking of Abetz by 4 days. 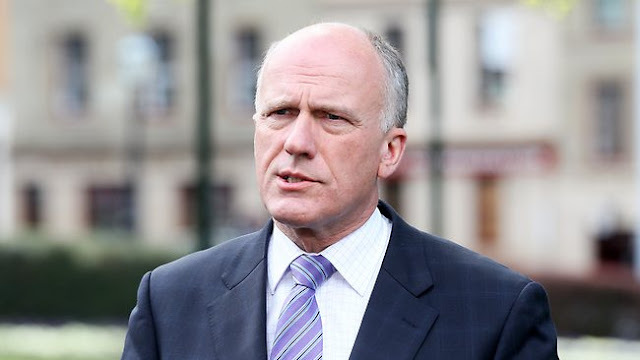 The new cabinet of PM Malcolm Turnbull should not include far-right ideologue Eric Abetz. Abetz has been making too many mistakes for too long. He was embroiled in the Godwin Gretsh OzCar affair, he told national TV that abortions cause breast cancer, he has done all he can to hide bizarre religious cults from scrutiny by the senate. In our view Abetz is not a normal politician and he definitely does not represent mainstream Tasmania. This is an opportunity for Malcolm Turnbull to chart a new course for Australia. In our view Abetz and Abbott have dragged Australia into a very dark place. Neither of them understands what it means to be Australian, and both of them promote a global 'Neo Con Agenda'. As employment Minister Abetz has been a total failure. He has consistently 'blamed the victims' for the fact his government exported tens of thousands of manufacturing jobs out of Australia. Abetz has had an over privileged free ride for far too long in our view. He needs to be bought back to reality for a change. Dump him!